Front whiskering and a touch of distressing ages essential denim shorts in a boyfriend cut with a hint of slouch and rolled hems. 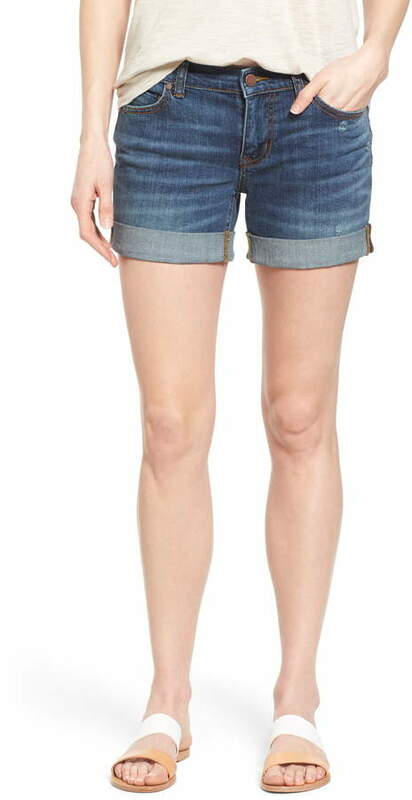 Style Name:Caslon Rolled Denim Boyfriend Shorts (Regular & Petite). Style Number: 5071489. Available in stores.